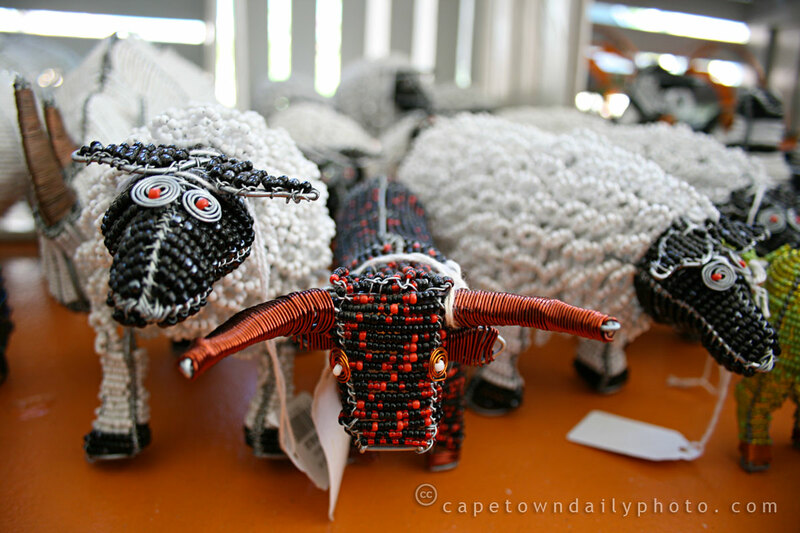 I found these cute little creatures at the Montebello Design Centre, which is located on the old Montebello Estate on the slopes of Table Mountain. The Montebello Design Centre is a non-profit organisation that aims to promote good local design. The centre provides work for a range of craftspeople, from beaders and ceramic workers to carpenters making furniture from alien vegetation. Follow this link to read more about the design centre's history and what they're doing. Posted in General on Thursday, 18 December, 2008 by Paul.